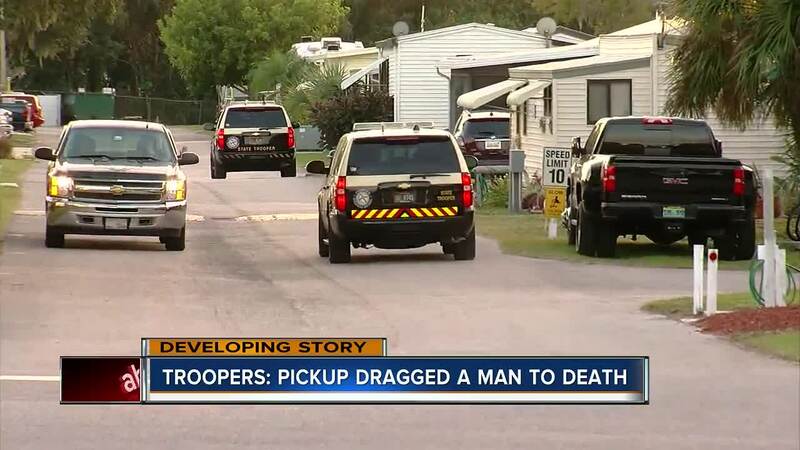 Florida Highway Patrol troopers are investigating after they say a driver of a pickup truck ran over a man and dragged his body for more than a mile. Investigators say that man did not survive. PALMETTO, Fla. — Florida Highway Patrol troopers are investigating after they say a driver of a pickup truck ran over a man and dragged his body for more than a mile. Investigators say that man did not survive. “We were sitting right there,” said Thomas Schurger. Schurger was relaxing outside with a friend at the Terra Ceia RV Resort. “We see this car pull up and stop and there was a truck right on his tailgate,” he said. He says that’s when two drivers stopped suddenly on Bayshore Road near US 41 in Palmetto. FHP says that 32-year-old Bradley John Yost, of Palmetto, stopped his vehicle, got out and walked in the roadway. “He had his arms up here, and he was talking with his hands and next thing I know, the guy hits the gas, and we can see the guy is dragging,” said Schurger. Schurger says he couldn’t see the driver because it was dark and he had tinted windows. But he watched the truck drag the man through the RV Park. Troopers later identified the driver as 46-year-old John Thomas Cray of Parrish, Florida. What sparked the incident is still under investigation. “We’re going stop, stop, you got a guy underneath your truck!” said Schurger. “I can’t even imagine what was going through that guy’s head,” said Todd Gaylord who also lives in the Terra Ceia RV Resort. Yost was a regular at Peggy’s Corral, a local lounge in Palmetto. Friends gathered there Friday night to mourn the loss of their friend. They described him as their "big teddy bear." Toner said Yost was a beloved local musician playing the bar circuits around Bradenton and Manatee County. 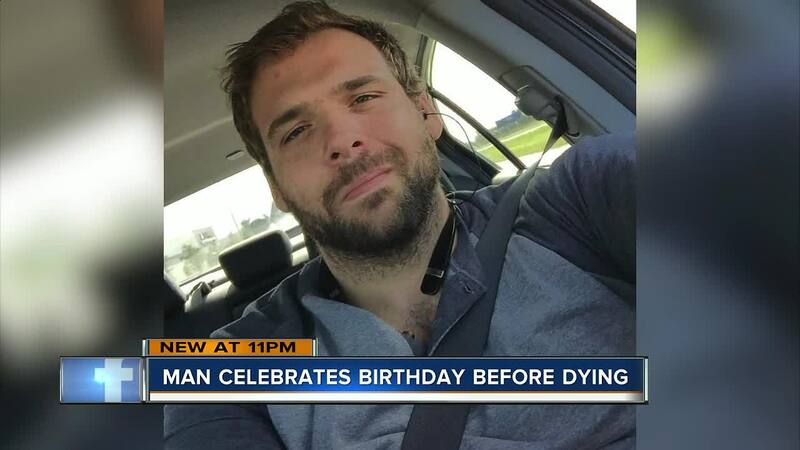 Yost celebrated his 32nd birthday at Peggy's Corral on Tuesday. He was also the music headliner for the lounge the previous Saturday. “It broke everybody’s heart, and it broke mine because as a mom you want to fix everything, and this is just something we can’t fix,” Toner said. Witnesses say Cray didn’t stop, turning onto U.S. 41 and dragging Yost more than a mile away to a Shell gas station. “That’s the end of that. It was just real fast. Something I didn’t want to see,” said Schurger. Yost was pronounced dead by firefighters who responded, according to FHP. FHP isn’t saying if Cray was arrested or charged.